What good is your commercial door if it doesn't have a top-notch security lock? Home/Security Doors | Quality front door Locks & Locksmith Services in British Columbia/What good is your commercial door if it doesn’t have a top-notch security lock? Your business’s security rests in the hands of the integrity of your commercial security lock. Are you willing to gamble with anything other than the best? 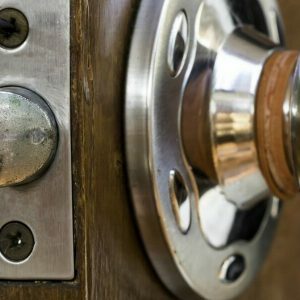 There are many types of door locks available, but which one is the best? PDQ Is An American-Based Hardware And Door Components Manufacturer Known For Its “Premium Quality Without The Premium Price.” Best Brothers Understands How Important Your Security Lock’s Integrity Is, Which Is Why We Put Our Trust In PDQ Locks. With PDQ Locks, You’ll Always Remain Secure. Your Security Needs Are As Unique As Your Business, Which Is Why We Offer One Of The Most Diverse Selections Of Commercial Door Locks Available. With Our Various Types Of Door Locks, You’re Sure To Find The Right Lock For Your Steel Commercial Doors. PDQ Lock – Cylindrical Lock – Assembled In The USA, Meeting The Requirements Of The Buy American Act. PDQ Lock – Auxiliary Lock – Equipped With A Deadbolt Or Latch Requiring A Key, Thumb Turn Or Both. PDQ Lock – Interconnected Lock – Separate Deadbolt And Latch Interconnected Mechanically; Mounted In Round Bored Openings On The Door’s Edge And Face. PDQ Lock –Mortise Dead Latch – Type Of Auxiliary Door Lock Requiring A Key Or Thumb Turn On Its Dead Latch, Which Fits In The Cavity On The Door’s Edge. PDQ-Exit Devices – The American Eagle Series Offers Superior Durability And Security In Commercial Applications While Providing Compliance With Life Safety And Fire Code Requirements. PDQ-Door Closer – The American Eagle Series. This Series Can Be Adjusted To Comply With Barrier Free Opening Force Restrictions. No Matter What Type Of Door Lock You Or Your Business Needs, BBG Will Deliver. Ready To Secure Your Business With The Security Door Lock That Blows All Other Types Of Door Locks Out Of The Water? Best Brothers Group Is Your Trusted PDQ Lock Seller. Request A Security Door Locks Quote Now And Our Sales Team Will Get Back To You ASAP. Your business's security rests in the hands of the integrity of your commercial security lock. Are you willing to gamble with anything other than the best?